Mrs. Bell achieved her black belt in April, 2014 after 8 years of training. She is a graduate of the New York University class of 2011, as well as a certified, registered yoga instructor. You will find her teaching in all beginning and intermediate children's classes, as well as the Sunday morning Community Yoga Class, and Tuesday morning kickboxing. She also specializes in working with special needs children. 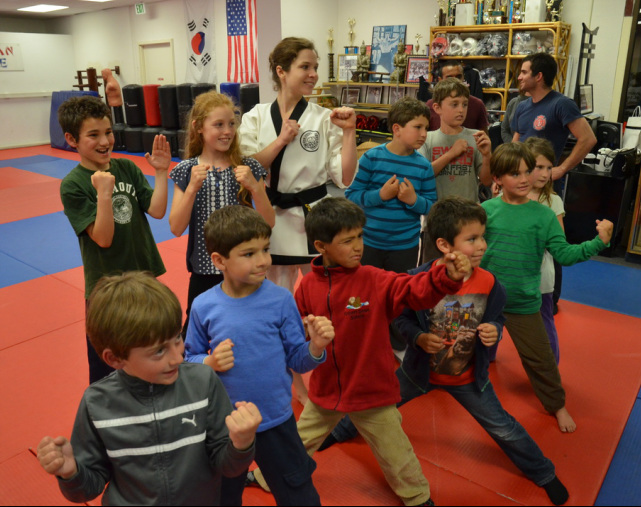 A native of Pacific Grove, Hannah started at American Karate at age 16. She loves children, animals, and moving her body. She is usually found in the dojo either teaching or eating.